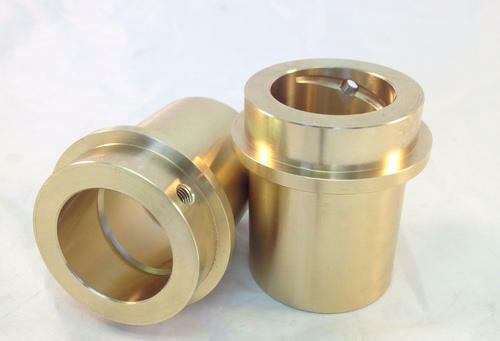 Aluminium Bronze Bushes offered provide for higher strength and superior resistance to corrosion as well as feature low rates of corrosion in atmospheric conditions. Further, these also provide for superior resistance to tarnishing and low reactivity to sulfurous compounds. Some of its features include have low oxidation rates at high temperatures; offering superior resistance to corrosion from sea water doe to presence of aluminium component of the alloy; upon reacting with atmospheric oxygen, it forms tough alumina surface layer that also supports improving corrosion resistance of the alloy.